Habitat - Swamps, floodplain forests, pond and lake margins. Other information - This attractive species can be found scattered throughout Alabama. 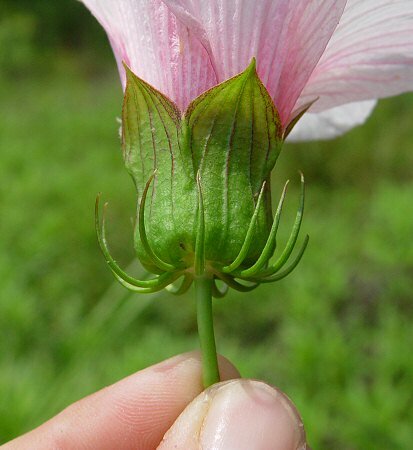 The plant can be identified by its glabrous stems and leaves, distinctive leaves, and pinkish flowers. 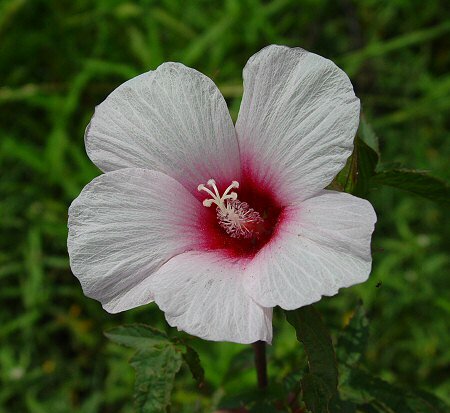 The flowers can sometimes be white, however. 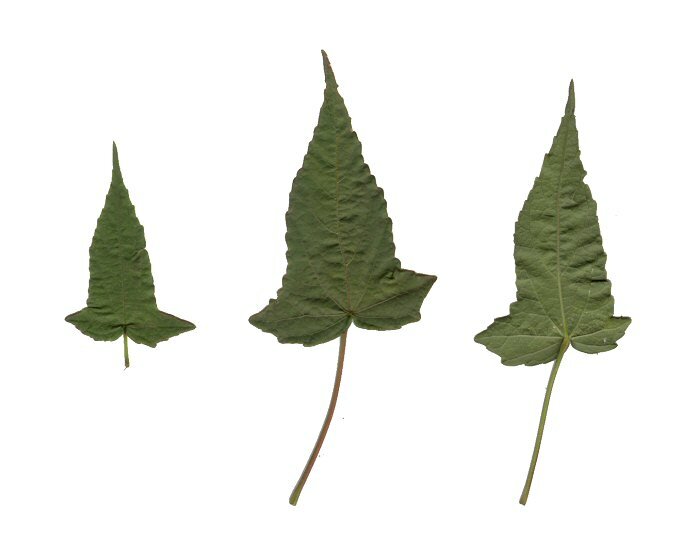 The leaves have a "halberd lance" shape which means they have two lobes at the base which spread at 90 degrees to the midrib of the leaf. Although this species is found in wet habitats, it does well in cultivation. 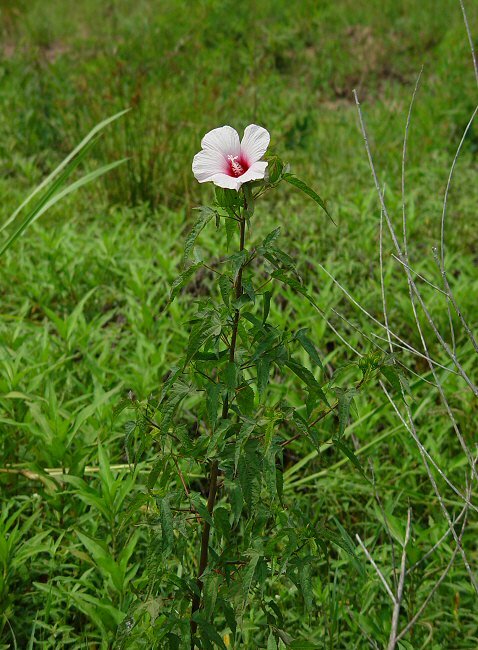 The genus name Hibiscus is an old Greek and Latin name for some marsh mallow. The species epithet laevis derives from the Latin "laev(i)" meaning "smooth" referring to the glabrous stems and leaf surfaces. Photographs taken at Eufala National Wildlife Refuge, AL., 6-25-06.